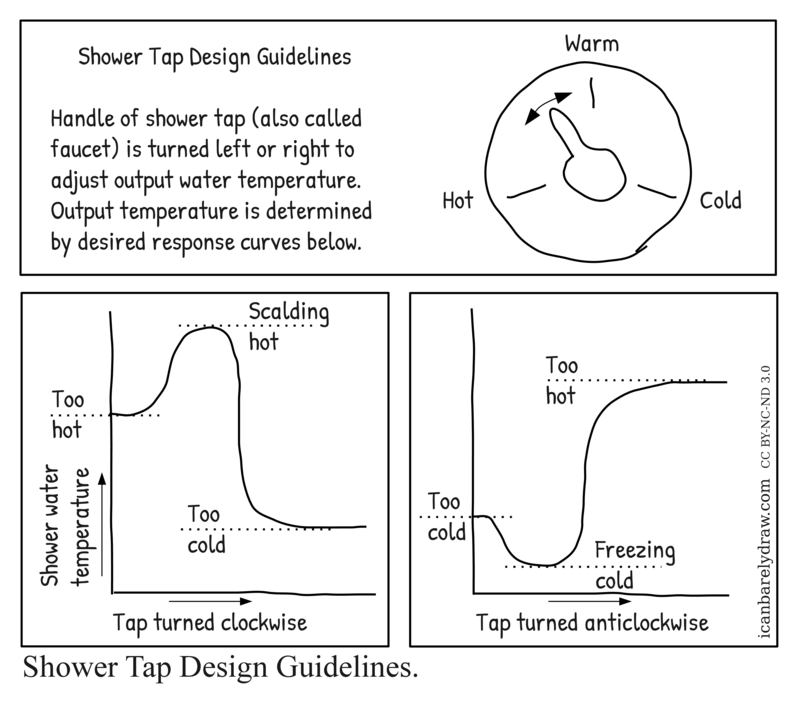 An illustration shows a tap (faucet) with positions marked hot, warm, and cold. Text is: Shower tap mixes hot and cold water supplies. Handle is turned left or right to adjust water temperature. Output temperature is determined by response curves below. Panel 2 shows a graph. Y-axis is: Shower water temperature. X-axis is: Tap turned clockwise. Panel 3 shows a graph. Y-axis is: Shower water temperature. X-axis is: Tap turned anticlockwise. Title: Shower Tap Design Guidelines.